Losing your hair can cause a considerable amount of distress, and can be quite hard to face, especially those who have previously prided themselves on their luscious locks. Hair loss is a gradual process that you are guaranteed to start noticing in the earliest stages – when you start seeing strands of your hair in abundance everywhere. If you are clogging your shower drains, always finding many hairs on your pillow in the morning or noticing your hair is thinner and more brittle when running your hands through it than chances are it is time to start thinking seriously about your hair loss and looking to act sooner rather than later to preserve your mane. Many people don’t give hair loss enough thought – chalking it up to them putting too much stress on the hair, making poor product choices or writing it off as natural re-occurring hair loss within normal realms. If, however, hair loss is something you are not yet prepared to live with then noticing the early indicating signs and acting promptly is critical to achieving the best possible outcome. Listed below are 4 hair loss symptoms that cannot be ignored – if you are experiencing any of these symptoms, it would be wise to start considering professional help. Hair loss is a gradual process, and it can be difficult to notice in a short span of time. You will notice, however, while brushing or running your hands through your hair that it is no longer as dense and thick as it once was. Thinning hair is a sure-fire indication that you are now losing more hair than you are growing and it is time to start addressing it before it gets too far. Early intervention is key to prevent the hair from thinning further and help the hair left to appear as thick and full as possible. 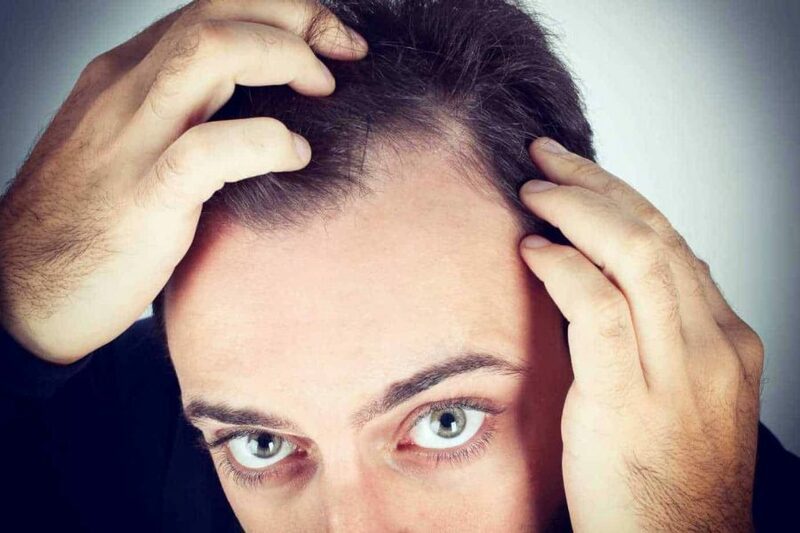 A receding hairline is to be expected in someone in their 50s or so, but if you are experiencing this symptom much earlier than life than your 50s it is important to take notice. A receding hairline gets progressively worse over time, eventually creeping all the across the head – often leaving the scalp exposed. It is crucial to address this in the early stages as hair loss treatment can help to improve the situation. Sometimes, balding occurs in an irregular patchy manner or in random circle shaped bald spots. If you start noticing patchiness or round bald spots (these will most likely occur on the scalp) than you know it is time to seek help. Sometimes there is a burning or tingling sensation in the area that is being affected so it makes it easier to take notice of what is happening. Here at The Wimpole Clinic, we know only too well how early intervention on trichology related issues can help to minimise hair loss, but we also have a range of treatments for baldness that could help you regain lost hair that looks natural and feels great. If you notice any of the signs above, then why not make an appointment to find out what your options are for treatment?